When hiring Westminster movers call Stallion Moving Services. Our moving company offers high quality home and office moving solutions for Westminster Colorado. If you are looking for moving companies in Westminster, Call us today for a free quote on your upcoming move. Call Stallion Moving Services today to get all your packing and moving services taken care of in one single call! We are a full-service local moving company operating in Colorado. We love to help Colorado residents with any home or office moving related tasks they need. Because of our robust set of house, office, or apartment moving services, we are able to help just about any customer looking to move. If you need help with your move, please do not hesitate to give us a call! Our moving services can help you with: packing, wrapping, piano moving service, furniture delivery, heavy item moving, local moving, commercial moving, long distance moving, residential moving, and more. Give us a call today so we can talk to you about our suggested moving services, and their prices. We will go through the details of your move, giving you the suggest service, cost, and time we estimate your move will take. Our quotes are non-binding as they are merely an estimation of what we think your move will take. For further information, give us a call or send us an email! Our phone operators are ready to take your phone calls 7 days of the week from 9:00 a.m. to 5:00 p.m. mountain standard time. You can rest assured knowing that when you get in contact with our moving company, that you can take care of all your moving related needs right with that phone call. If you need to reach us outside of our phone hours, you can always leave a voicemail and we will get back to you when our business representatives are back in the office. You are also able to contact us through our business email. 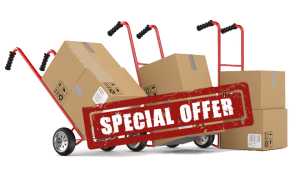 If you only need a moving quote, our moving quote requests forms located on the right side of our website is a fast and easy way to get pricing on your move. There is an area at the end of the contact form request in which you are able to provide us with any additional information you deem would help us estimate your move. The more accurate your quote is, the better your entire moving experience will be. If we feel there is too much ambiguity regarding your move, we can offer you a free on-site estimate straight to your location. This is entirely free and would help us get to know what we are moving a little better. If you are moving to or from Westminster let us be your reliable and trustworthy Westminster moving company. Stallion Moving Services will facilitate your residential or corporate Westminster move from start to finish. We are a full service moving company that offers comprehensive services including packing, moving, storage and unpacking so don’t fret if you are moving across the country rather than across town. Call us today at (720) 880-8554 for a quote or to set up an appointment with one of our Westminster moving specialists. We can help you move a residence or commercial location. Our movers are trained to be able to help both types of moves. Not only that, they can help you pack and wrap as well. We can even provide you with packing and wrapping supplies. We hope to help you with just about everything moving related. We can help you office or home moving for Westminster, Colorado! Our moving professionals are trained the very best moving techniques to ensure that nothing goes wrong in your move, and you are all moved in to your new home or office without any damage or harm to your belongings. Our movers are not only trained, but they come to your move with moving equipment to make the move go by as smooth as possible. Give us a call today to schedule your home or office move. Stallion Moving Services can take care of all moves whether they’re small moves, long distance, or piano moving. All moving services are covered for you with professional moving services. Moving long distance with a local moving like Stallion Moving Services will save you money on your total moving cost as local moving companies are often more affordable than large moving corporations. Quoting Westminster Moving Companies? Quote Us! Located just northwest of Denver, Westminster offers the scenery of the beautiful Colorado outdoors while still being close enough to drive into the city for the big game or a night out on the town. Located on a number of highways such as Interstate 25, US 36 and US 287 it also offers an easy commute to and from a number of surrounding areas. Very impressed with their service! Book an appointment was very easy and on the day of the move, these guys were very efficient and professional. Will definitely recommend and will be using them again. Could not ask for a better moving company. Stallion moving is the best. They sent updates before the move and called before they arrived. They packed up our things with care like their own. They worked fast and reliable. I would highly recommend this company to anyone. I would like to express my gratitude to this company for providing an excellent moving service. They also reassured me that they would transport my things safely They indeed did what they’ve promised. All my stuffs arrived on time without any damages. The movers were efficient and professional. Thank you so much for the excellent service. I can't afford to find another moving company after having tried this company once last week. They're 100% excellent in this line of business. We are extremely satisfied with the service we have received. Stallion men were prompt enough to arrive an hour early. Glad everything was set and ready to move. They packed and loaded everything and had organized the placement of my items securing the most fragile ones. I liked their responsiveness and efficiency. Their service was incomparable. We would definitely recommend it to my known friends and ask their aid again when needed. My two guys did a great job! Couldn't have asked for anything more. Thank you. The move went quickly and smoothly. These guys were all around great to work with. Thank you.